What began as widespread speculation back in May came to fruition today. Shenandoah Telecommunications (Shentel) announced its intention to buy nTelos in a $208 million deal ($640 million total counting debt Shentel will assume). The purchase includes network, spectrum licenses, retail customers/stores and all assets. Shentel is a regional affiliate for Sprint and provides wireless service in the Upper Shenandoah Valley of Virginia and West Virginia, the Maryland Panhandle and Central Pennsylvania. nTelos has been a wholesale partner to Sprint, selling capacity to Sprint customers in the Lower Shenandoah Valley and Blue Ridge communities of Virginia and most of the State of West Virginia. nTelos coverage area is directly adjacent to Shentel with only a little overlap. nTelos coverage complements Shentel's very well. Shentel will have over one million customers in the newly combined company, making it the sixth largest wireless company in the U.S. and the largest Sprint affiliate. At conclusion of the purchase, Shentel will take control of nTelos and its assets. nTelos will cease to exist, having spun off its wireline and fiber assets into Lumos Networks a few years back. So, the rural telco that reached the big time 15 years ago in the Richmond-Norfolk MTA when it purchased a PCS B block 20 MHz divestment from PrimeCo in the merger that created Verizon will be gone for good. The writing was on the wall when nTelos sold off its spectrum to T-Mobile in its large markets of Richmond and Norfolk this past year. Bringing to end an era, as Shentel shutters nTelos' Waynesboro, Virginia headquarters and puts its campus up for sale. Choosing to consolidate the combined company at Shentel's Harrisonburg, Virginia HQ. The end of nTelos will be bittersweet for some, but likely not to be missed by many Sprint customers. In announcing the merger, Shentel concurrently released details of new extended and expanded affiliation agreements with Sprint that now to run through 2029. These separate deals call for the disbanding of nTelos and transfer of the existing nearly 300,000 nTelos customers to the Sprint brand. Existing nTelos retail locations will also be converted to Sprint branding while being managed by Shentel. Sprint will transfer their existing nearly 300,000 customers in nTelos territory into the Shentel affiliate agreement. Most important in this deal is the significant impact on the Sprint network in the Shentel and nTelos territories. Sprint will receive “all spectrum assets in nTelos’ footprint.” This covers more than 5 million people in portions of Kentucky, Ohio, Maryland, North Carolina, Pennsylvania, Virginia, and West Virginia. Shentel will assume responsibility of nTelos' network upgrade and LTE deployment. Which will also include additional cell sites and coverage expansion. nTelos currently provides 1x voice and 3G EVDO data native coverage to Sprint customers in Western Virginia and West Virginia. nTelos was already in the process of trying to upgrade its network to 4G LTE through a slow and insufficiently funded process. In some areas, nTelos did have LTE open and live for its own nTelos branded customers. However, Sprint customers could not access it. nTelos and Sprint expanded their wholesale agreement last year to include 4G LTE. Under the agreement, nTelos had until 2017 to get the network up and running for Sprint LTE customers, adding Sprint LTE bands using Sprint spectrum assets. nTelos current LTE deployed was not usable to Sprint customer handsets, as it runs on PCS LTE Band 2. And Sprint's is deployed on PCS LTE Band 25. S4GRU hopes that Shentel will deploy MFBI to the newly acquired nTelos LTE network and open it up for Sprint/Shentel customers as soon as physically possible. This should be a priority, as Sprint customers in nTelos areas have been limited to mediocre 3G for years. And we have nearly countless stories of S4GRU members and visitors airing their frustrations and leaving Sprint or nTelos for the Duopoly. But the end is near! nTelos may have a reputation for being way behind the times and struggling, but Shentel is viewed largely the opposite. Shentel has proven to be a well run regional wireless operator and has been on the forefront of its Network Vision upgrade with Sprint. Shentel outperformed virtually every Sprint market in deploying its network modernization upgrades and LTE deployment. The Shentel affiliate market is arguably the best performing Sprint market in the country. Shentel is also aggessive in monitoring and maintaining its network. To keep capacity maximized, keep throughput speeds high and provide the most seamless coverage imaginable in a hilly and mountainous environment. Shentel makes Sprint look good in its region, providing coverage and performance surpassing AT&T and Verizon nearly everywhere. 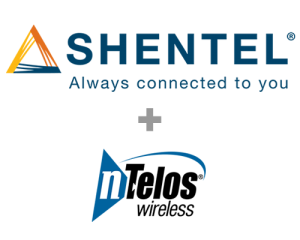 "While nTelos was engaged in a network upgrade, Shentel is committed to accelerating and expanding the upgrade of the network in order to provide the Sprint customers the world-class wireless voice and data services they deserve." Shentel is committing over $300 Million in network upgrades and enhancements to bring its newly acquired nTelos coverage areas to Sprint standards and add LTE Bands 25, 26 and 41 (Spark) into the mix. Shentel also will be adding approximately 150 new macro sites (identified in orange on the map at the bottom of the page). Shentel says that the additional coverage from the new sites will improve the experience for the Sprint customers it serves and be more consistent with the type of seamless coverage its existing customers experience in current Shentel service areas. Shentel wants to close the gap and provide a more competitive experience against AT&T, Verizon and U.S. Cellular. There are many customers that Shentel can gain in nTelos areas, as nTelos tends to have a much smaller market share than Shentel does in its markets. The exact details and dates are still being finalized and pretty much are pending the conclusion of the purchase. Shentel expects to have the acquisition wrapped in six months -- but hopes it may be sooner. No significant government hurdles are expected with this transaction. As part of the deal, Sprint will get nTelos varied spectrum license assets. nTelos currently holds spectrum in its coverage area in PCS, AWS and BRS bands. These will complement Sprint's spectrum portfolio very well. Sprint actively uses PCS for voice and 3G/LTE data and BRS for Spark LTE data. Shentel will be using existing and newly acquired licenses in its deployments. What is not known at this time is whether Sprint will sell or trade the Band 4 AWS licenses it will pick up -- or possibly put them to use. Most new Sprint devices since mid 2014 now support LTE in the AWS band, and Sprint could choose to keep these licenses. This is good news for Sprint customers and nTelos customers in Western Virginia and West Virginia. nTelos did not provide good service to Sprint customers in its area. And nTelos customers weren't all that pleased either. 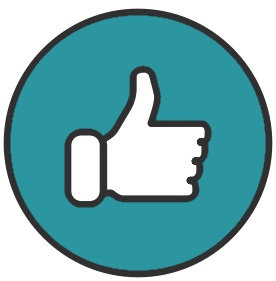 There was a steady drumbeat of complaints about nTelos in our forums. Shentel is likely to face a lot of bumps in the road and some major setbacks along the course overtaking nTelos. But it will likely do a much better job along the way. Shentel is well managed from our perspective and better funded. Shentel hit its milestones early and is fairly proactive. The network is going to improve significantly. And once Shentel gets the reins, the progress will move much faster and be measurable. We think Shentel will do well if it can capitalize the upgrades sufficiently and timely. And this is all upside for Sprint. We HIGHLY RECOMMEND that Shentel make opening up the existing nTelos LTE network for Sprint customers a number one priority. Though there is some cost and resources to do this, it will help reduce churn and start building excitement among the remaining Sprint customers in the area. We all need to see something is happening right out of the gate. And Marcelo, if you're reading, please do something about your only other remaining affiliate, Swiftel up in South Dakota. It will be the last vestige of the Sprint network languishing without upgrades. Please, we are begging you! Maybe Shentel West? Previous entry Columbus, 8640. The Age of 10 MHz FDD Discovery. So it's still the case that MFBI would have to be activated for Sprint to use nTelos LTE? I thought band 25 scanned the G block and then the rest of the PCS band (that makes up band 2) and would connect as long as the device were authorized. Band 25 devices do scan Band 2 spectrum. But cannot authenticate with a network that is broadcasting Band 2 only. nTelos devices are Band 2, so nTelos LTE broadcasts in Band 2 only. But if nTelos LTE were to broadcast Band 2 with MFBI, then Band 25 devices would be capable to authenticate and use the network. Can Sprint have Shentel manage the nationwide network? They may have macro sites first! This is going to be great for my area. I'm actually going into ntelos area tomorrow and it's a pain since where I'm going is right on the line between Shentel and ntelos. My phone keeps going between Sprint 1x800 and ntelos 1x1900 and on occasion I'll connect to EVDO. I can't wait to see how this plays out over time. 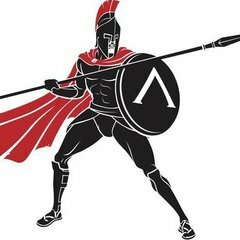 My guess is Shentel will sell off the AWS spectrum to help fund the upgrades. I'm sure one of the other big 3 would buy it. One question I have though is if this acquisition will slow down B41 deployment in Shentel's current area if they are trying to do quick NV 1.0 upgrades in the newly acquired area. Hopefully it won't but some areas truly need the increased capacity. The way I read all the releases yesterday is that Sprint gets all nTelos spectrum in the deal, not Shentel. So Shentel would not be able to sell AWS, if that's accurate. But Sprint might sell or trade AWS. Or they may use it. As you state, I'm sure there is demand out there for it. It's quite possible that Shentel's own B41 deployment could get slowed down with the nTelos distraction. And I guess it would be naive of me to say it won't. But I do believe Shentel will make the best decisions possible given their limited resources. I fully expect them to keep trucking on in their existing footprint as best as they can. They will manage to work in their existing areas and new areas to the extent possible. They may have to bring in some more people to manage the plan. The way I read all the releases yesterday is that Sprint gets all nTelos spectrum in the deal, not Shentel. So Shentel would not be able to sell AWS, if that's accurate. But Sprint might sell or trade AWS. Or they may use it. As you state, I'm sure there is demand out there for it. It's quite possible that Shentel's own B41 deployment could get slowed down with the nTelos distraction. And I guess it would be naive of me to say it won't. But I do believe Shentel will make the best decisions possible given their limited resources. I fully expect them to keep trucking on in their existing footprint as best as they can. They will manage to work in their existing areas and new areas to the extent possible. They may have to bring in some more people to manage the plan. So sprint get some nationwide aws? How much spectrum are getting? Since phones are now coming unlocked why not add some aws if the slice is big enough?? No, definitely not nationwide. Sprint will pick up AWS A-Block, which is 10x10 in most of Western Virginia. This includes the Charlottesville, Harrisonburg, Roanoke, Lynchburg, Blacksburg, Lexington and Martnsville/Collinsville CMA's. But no AWS in West Virginia. But Sprint might sell or trade AWS. I do not believe Shentel has the necessary licenses to actually own spectrum. What Shentel gets is 225 million over five to six years, which could be viewed as compensation for the spectrum. I could not image this acquisition will slow down Shentel's B41 deployment. If anything it will have the opposite effect. nTelos owned the BRS 2.5 spectrum from around Winchester south to Harrisonburg among other areas, and now that Shentel will be handing it over to Sprint, Shentel should be able to deploy multiple 20 MHz B41 carriers in those areas, plus all others where Sprint controls the BRS spectrum. There is a ton of growth potential in Central PA for Shentel and they know this. They also know they are behind the eight ball with LTE spectrum having only three 5 MHz carriers in all markets, granted their hands are a bit tied by Sprint. B41 deployments will proceed full steam ahead - they have to. Otherwise the LTE network will practically collapse in on itself. Goals are set at around 10% of the network by the end of 2015. Also, Shentel's HQ is in Edinburg, not Harrisonburg. Not that I am complaining, this site is fantastic. I can't believe after all this time I incorrectly thought Shentel was headquartered in Harrisonburg. I would have bet money on it. Thanks for the gracious correction. Much appreciated. They also know they are behind the eight ball with LTE spectrum having only three 5 MHz carriers in all markets, granted their hands are a bit tied by Sprint. B41 deployments will proceed full steam ahead - they have to. Otherwise the LTE network will practically collapse in on itself. Also, today Shentel said they are only building 125 Band 41 sites in their Legacy Shentel areas and committing to another 125 additional Band 41 sites in nTelos areas. See Page 4. I hope they expand their commitment to Band 41 Spark and Carrier Aggregation further than that. I think they need more than 250 B41 sites in their combined coverage areas. Thanks for your insight. It adds a lot to the discussion. Thanks for that. I was unable to listen to the call this morning. That 125 number for the legacy network is likely a result of current market penetration and data demand. As those metrics increase I would be unsurprised to see that number of sites increase as well. Central PA is a very under penetrated market for Shentel, compared to their penetration in the Shenandoah Valley (something like 4x less penetrated in CPA). Also I expect them to equip almost all new sites built for capacity with B41. Another thing to remember is there are a lot of cows and corn in areas Shentel covers, so picking and choosing which sites get B41 instead of carte blanche deploying TDD makes a lot of sense. I am just excited to see 50 sites. It will make a huge difference in network performance. You can do a lot with three well balanced 5MHz carriers, but it is still only 15 MHz. I almost can't fathom what 40 or 60 additional MHz will be like on top of what Shentel already has. It is an exciting time to live in Shentel land. I agree with you 100%. I currently work in New Oxford, PA and Sprint LTE on band 25 here is pulling 24 mbps DL and almost 7 mbps UL (outside the building of course). Meanwhile at home in York, PA, I'm hard pressed trying to pull anything over 1.5 mbps at home so I'm hoping at least 7 those 125 B41 Sites are in York. The areas in between York and New Oxford/Hanover are very lightly populated and I'm sure capacity in those areas are far from being strained. Two B25 carriers and a B26 carrier should more than sufficient in supplying enough demand for those areas for a while. Although I am on the side that is wondering if Shentel having to expand their focus, would now slow down upgrades in their existing coverage areas. Especially since they focus their efforts on places with the biggest needs first and nTelos territory is far worse than Shentel areas. Whenever I go to Smith Mountain Lake, I basically just put my phone away for a few days, as me trying to use my phone on nTelos is an exercise in frustration, so I'm glad to see that will improve in the future! Meanwhile at home in York, PA, I'm hard pressed trying to pull anything over 1.5 mbps at home so I'm hoping at least 7 those 125 B41 Sites are in York. Before the nTelos acquisition, I believe Harrisburg and York were the biggest markets in terms of POPs in the Shentel network. Unfortunately, Sprint did a really poor job in areas like York, Lebanon and Carlisle and when Shentel took over the network they had an uphill battle. Even with Morgantown and Roanoke, I doubt Shentel will let CPA slide because of the growth potential there. Expect not only 2 carriers of B41 on most of the existing sites in York city, expect new sites as well with the three existing 5 MHz LTE carriers plus at least 2 B41 carriers. I don't think Shentel is trying to be anything less than the best carrier in the areas they serve. I think Shentel has demonstrated their ability and desire to make Sprint's network the best in the areas for which they are the affiliate provider. Look at their capital spending for the past few years as part of the NV deployment, and it is quite evident that they are committed. Looking even further to how much of their overall revenue is derived from their wireless operations vs their cable and wireline and it is very apparent that they need their wireless business to thrive to keep the company going. That being said they are a public company and have shareholders who sometimes prefer the short term return vs the long term capital spending and delayed revenues associated with that. I hope that the financial costs associated with acquiring nTelos does not adversely affect their continued capital spending. They are acquiring a significant debt load with the transaction even after the fee concessions from Sprint. From a network perspective it sounds like in other forms on this site that the spectrum assets from nTelos should allow some immediate, non-capital intensive, improvement to many of the congested areas in B25 and B26. Ultimately I think Shentel will pull off this acquisition and transition successfully given their extensive prior track record and commitment to deploying and managing their network successfully. Yes I was thinking the same thing, that Shentel should be given more markets,...maybe not Nationwide but at least the Northeast. Shentel seem to do an excellent job.Shentel seems to be committed to Sprint.For example a few years back they created an initiative to completely cover I-83 with 3G from York to Baltimore. It is an amazing stretch of excellent Sprint Coverage. I used to run out to the Loucks Road Sprint Store in York, PA as well, because it was a very nice store and had great customer Service.I would be happy if Shentel would come east a bit of Harisburg and take over the Lancaster,Ephrata, Reading area, but that is probably wishful thinking as we will probably remain in the Philadelphia Market. Taking on nTelos is a more than doubling of Shentel's wireless network. Let's see how they do with that before having them take over the world. I'm very optimistic though. I would be happy if Shentel would come east a bit of Harisburg and take over the Lancaster,Ephrata, Reading area, but that is probably wishful thinking as we will probably remain in the Philadelphia Market. I just said almost the same thing in another thread yesterday - Reading not so much in my opinion, but it would make a ton of sense if they could somehow takeover the greater Lancaster area and not only give travel coverage symmetry along 283 and 30 to current Shentel coverage borders into Harrisburg and York respectively, but flesh out/fill in the triangle created by such, since the 3 cities are so interconnected from just a business perspective alone. This is great news for Sprint, great news for Virginia. NTelos has kept Sprint service to early 2000's technology for too long. Shentel has proven themselves to be ahead of the game in terms of Sprint LTE deployment. I'll give Shentel a lot of patience. Who knows what mess\dysfunction they are walking into. really? Lancaster is already covered in LTE and even has some good b41 in the majority of places I've been in from city to rural and decent b25 and 26 to follow up, whenever I head back over to shentel land (york) it makes me miss being up here, shentel was first, I'll give them that and I was surprised, but I really saw the difference after leaving that market, it was night and day. Do I think shentel can make a huge difference, of course, but I think lancaster is fine in the speed of the deployment, though I can't speak for the other areas. Lancaster is alright certainly, but you're missing my point; it's not so much Lancaster proper, but the overall triangular region between all three points. The areas between where Shentel cuts off along 283 and 30 into Lancaster and all points in between could really use the boost and symmetry that the Shentel areas in particular enjoy. The updated Sprint coverage map indicates LTE coverage around Blacksburg, Christiansburg, and Roanoke, VA, as well as LTE roaming with newer phones, presumably on US Cellular. A service representative at the Sprint store (run by inPhase) told me they're installing tri-band equipment. The NTELOS days are gone, long live the Shentel/Sprint Alliance! Also this would be a good time to lock in unlimited data on one of those framily plans.